← TrailerWatch: “How to Talk to Girls at Parties” gives us aliens, punks, and of course – punk aliens! Baltimore Screening Pass-palooza: “WONDER WOMAN”! Ready to channel your inner warrior? Of course you are – you’re a freakin’ badass, darlin. 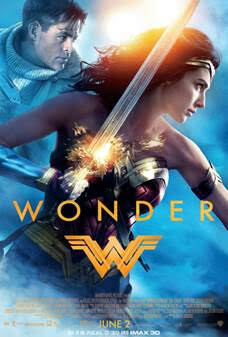 Well pull up your boots and shine your bracers up, because I’ve got passes for the Baltimore screening of Wonder Woman! Synopsis! Grab your magic lasso and let’s do this! What: ADMIT TWO passes for the Baltimore screening of Wonder Woman! Why: Because who doesn’t love a kickass Amazon? REMEMBER: seating for screenings are first come, first served and not guaranteed. So get there early and get yourself as seat. This entry was posted in Free Screenings and tagged DCU, Free Screenings, Wonder Woman. Bookmark the permalink.